Travel to Egypt for extraordinary 10 nights / 11 days Egypt tour to enjoy the best time ever in the land of pharaohs, visit Cairo and Alexandria landmarks, in addition to, getting an amazing Nile cruise between Luxor and Aswan to discover the treasures, tombs covered with sand, and temples of pharaohs, Gods, and Goddess. Book Us Now!!! Assistance of our guest relations during the trip. Accommodation for 6 nights in Cairo at 5* hotel including breakfast. Accommodation for 1 nights in Luxor at 5* hhotel including breakfast. 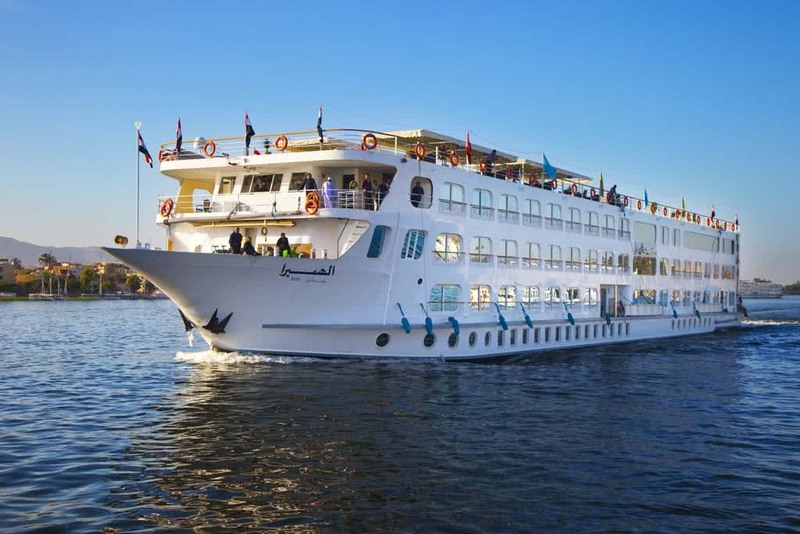 Accommodation for 3 nights on 5 star Super deluxe Nile cruise on full board. Private Egyptologist guide throughout all your journey. Water and soft drinks on board of the vehicles during all the transfers. Domestic flight tickets (Cairo / Aswan- Luxor / Cairo). Arrival to Cairo airport, our representative will assist you through passport control formalities, luggage identification & portage will greet you. From the airport, you will be transferred by a private A/C car to your hotel for check-in. The great pyramid belongs to “King Khufu” is the oldest and largest of the three pyramids of Giza plateau and the only one to remain intact from the 7 Wonders of the Ancient World. The height of the great pyramid is 147 m, the number of stones used in construction is 2,300,000 and it took twenty years to be built. It is the largest statue in the world, standing 73 m. long, 19 m. wide, and 20 m in height. It is the oldest known monumental sculpture. It is considered to be the earliest large-scale cut stone construction; it dates back to the reign of King Djeser who ruled Egypt during the 27th century B.C. The step pyramid consists of 6 steps built atop one another with a height of 62m. Finally, we drive you back to your hotel in Cairo. A Roman burial site in which there is a family tomb reveals the merging of Egyptian and Roman art and architecture. Descend below ground to visit the tomb and Caracalla Hall. A 15th-century fortress located on the Mediterranean sea coast. It was established in 1477 AD by Sultan Al-Ashraf Qa’it Bay. The Citadel is situated in the same place as the Pharos Island. A copy of every book published in the world is kept in the library, making it one of the great literary sites in the world. Alexandria library also houses several exhibitions relating to the history of Egypt and a display of rare antique books. Finally, return to Cairo for overnight. It was built across the Nile River at Aswan and was constructed between 1960 and 1970, it has had a significant effect on the economy and culture of Egypt. At the end of the day, transfer to your 5* deluxe Nile cruise and to check in and overnight on board. The two Temples of Abu Simbel, with their unique style, are considered to be the masterpieces of ancient Egypt. The Temples are rock-cut structures, and both built during the reign of King Ramses II 1200 B.C. One temple is dedicated to King Ramses II, and the second temple is dedicated to his beloved wife Queen Nefertari. The carvings and artwork that decorate both temples are incredible. Hand carved pillars, wall paintings, carvings, statues, and much more, this is a must visit the temple. Return to your cruise and overnight on board. A temple overlooking the Nile. This temple is divided into 2 temples with 2 entrances, 2 hypostyle Halls, and 2 sanctuaries. Dedicated to God Horus. Edfu temple is considered the most preserved Greco-Roman temple all over Egypt and on its walls portrayed a “Play” shows the overcome of Horus over the devil god Seth. Sail to Luxor, arrive late night and overnight on board. No site in Egypt is more impressive than Karnak. It is the largest temple complex ever built by man and represents the combined achievement of many generations of ancient builders and Pharaohs. The Temple of Karnak is actually three main temples, smaller enclosed temples, and several outer temples situated on 247 acres of land. Then move with your tour guide to check in at 5* hotel in Luxor to refresh yourself. The Temple of Luxor was the center of the most important festival, the festival of Opet. Built largely by Amenhotep III and Ramses II, the temple’s purpose was a setting for the rituals of the festival. The festival was to reconcile the human aspect of the ruler with the divine office. Then, return back to your hotel in Luxor for overnight. Valley of the Kings is the final resting place of Egypt’s rulers from the 18th to the 20th dynasty, it is home to tombs including the great pharaoh Ramses II and boy pharaoh Tutankhamen. The tombs were well stocked with all the material goods a ruler might need in the next world. Most of the decoration inside the tombs still well preserved. The temple of Queen Hatshepsut is one of the most beautiful & best preserved of all of the temples of Ancient Egypt. The temple was built on three levels with two wide ramps in a central position joining the levels together. Have your lunch at a Nile View restaurant before we transfer you to Luxor airport to fly to Cairo and continue your 11 days Egypt tour, upon arrival move to check in at 5* hotel in Cairo. The Egyptian Museum displays a rare collection of 5000 years of art. Over 250,000 genuine artifacts are presented, including an exhibit dedicated to Tutankhamen collection of treasure, e, gold and jewelry which was enclosed in his tomb for over 3,500 years. It served as Egypt’s seat of government until the 1860s, Salah El Din Citadel is a magnificent fortress. It was constructed during Salah ad-Din reign. The construction work has started in 1176 and was completed in 1182. It was constructed between 1830 and 1848, the mosque named ” The Alabaster Mosque” because of most of the walls made out of pure alabaster. Mohamed Ali Mosque is a replica of the Blue Mosque in Istanbul. Then back to your hotel in Cairo and overnight. Free Day to relax in your hotel in Cairo. Breakfast at the hotel our representative will transfer you to the airport and assist you at the airport through final departure formalities to end your 11 days Egypt tour. The 11 Day Egypt Luxury Tour was a once in a lifetime trip made possible by both the awe-inspiring history of this country and the people who made our trip one of the most enjoyable experiences we have had in 15 years of international travel. We were originally apprehensive about this trip both because of what I now believe were over-stated security risks and the low price of the Egypt Tours Portal (ETP) as compared with other tours. The service we received from Omnia Ahmad and Mohamad Zayed in putting together our trip and answering all our questions were exceptional in both the information provided and the rapid response to our email inquiries. The way ETP shepherded us through arrivals and to the hotel at midnight was most welcome after almost 24 hours of travel from Canada and set the stage for the rest of the trip. Over the next 11 days, we were in the hands of Essam Yehia in Cairo and Mahmoud Nour from Aswan to Luxor. Both of these free-lance guides were a credit to ETP and their local knowledge together with their understanding of Egyptian History and culture was exceptional. Most importantly, the personalities of these guides and their drive to make our trip extraordinary were such that we became as many friends as clients. Both helped us fill a free day with activities that also helped us see aspects of modern Egypt that we had never contemplated ranging from agriculture to culture. We left Egypt feeling rather insignificant in the light of the remarkable history of this part of the world but also connected through the people we met who shared their knowledge as well as their hopes and dreams for their families and communities. The trip exceeded all our expectations! Let me begin with my hesitation to take this tour. I would like to mention that I was in the beginning a little skeptical of taking a private tour from Egypt as I honestly thought that it wasn’t too safe as I had read somethings earlier abt safety from a few friends. However when I actually did my research, i realised that I can do this trip privately maybe with no problems. When I was in my flight i was honestly a little scared because what my friends had told me was still ringing in my head although the gut feeling i had was that it will all be fine. 2) Egypt has a special police force for Tourists!! They will always greet you with a smile and u will be welcomed with any of your concerns. I am yet to visit a country that can shower so much of love on you. On top of that if you are an Indian, you will be treated as one amongst them because Egyptians love Indians way too much. Not that they don’t love other people. I realised that when I saw a few Egyptian teen girls and boys wanting to take pictures with my mom and wife just because my mom had a Bindi on her forehead. That’s how they knew we are Indians. It is an experience by itself to see this kind of bonding which is so rare and beautiful. I might have exchanged atleast 40 mails discussing my concerns with the tour operator of Egypt Tours Portal and he answered back every single query i had. A special thanks to him for all the patience he showed. He incorporated the tour very beautifully to fit everything that i wanted to see and cover. Also all the restaurants which were chosen for lunch options were really nice with a lovely surprise of Dinner cruise and the Alexandria seaside lunch by the Mediterranean sea. I have to mention that the Hurghada all inclusive experience was so much of fun and exciting!!! Thank you again for the selection of the lovely hotels. 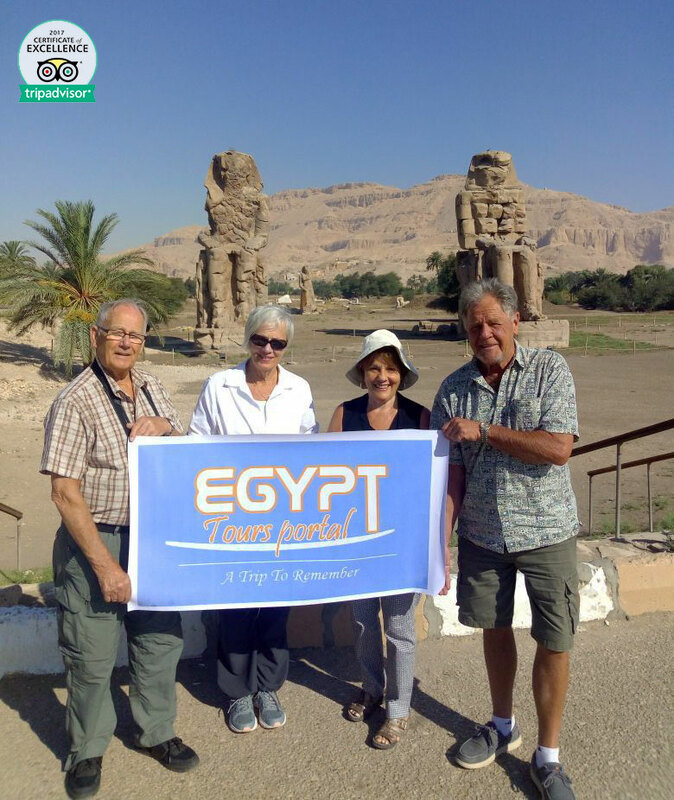 The entire tour organised by Egypt Tours portal was extremely professional and they were very punctual with the timings which is the key for a tour to be successful in Egypt as there is so much to see but all the places close down by 5. So its important to start early. Now coming to the tour, we had 2 tour guides in the entire trip for different areas. And trust me when I say this, If you have an amazing tour guide in Egypt, you have an amazing trip!! Let me also tell you that there are atleast 90% of people with the names of Mohamed and Mahmoud. So i would like to mention my tour guides with their full names so that you could locate them more conveniently. Once we landed at Cairo, we were so happy to see a person waiting for us with our name on a slate. Once we were helped with our passport formalities, we were greeted by Mohamed Elshemei from Egypt Tours Portal at the Airport. The moment I met him i just knew this is going to be a great trip. He was extremely kind and sweet. We reached Cairo at 6 in the morning. We were given a complimentary surprise by Mohamed as he got us some amazing Hot Fresh Falafel which just added a lovely beginning to our trip in this beautiful country. Mohamed Elshemei was our tour guide in Cairo and in Alexandria. He made every extra effort to make sure we were comfortable. He was extremely well informed with great study of egyptology and his ability to be loud and clear made an extremely lovely impact on our experience of getting all that vital information on every thing that we saw. Especially in the Cairo Museum if you dont have a good guide, its like seeing a mere exhibition of statues and objects. Mohamed truly stood out as one of the best guides I have ever toured with and his amazing ability to grab people’s mind was so evident when I observed at a couple of places that people were sometimes listening to him rather then paying attention to their own tour guides!! Cairo can get really bad with traffic jams. Ali was our driver in Cairo and Alexandria. He was extremely patient with our timings and he was like a silent soldier who was always there by our side to assist us. Coming to the part 2 of our tour. Our next zone was from Aswan to Luxor. We had a flight from Cairo to Aswan from where we were to take our 5 star nile cruise. As we reached Aswan, we had some one lovely waiting for us there. He came up to us and said “Hi, I am the Egyptian Tom Cruz”. This was Mahmoud Hasan Ali. Our second tour guide who was with us for 5 days from Aswan to Luxor. He was such a lovely person that within a days time we felt we were not 4 of us travelling as a family but we were rather 5 of us travelling as a family. There was an instant connect he had with my family and he became a part of us. Mahmoud had a lovely ability of being serious and funny at the same time to lighten the atmosphere as continuous serious guiding can get monotonous sometimes as there is so much of information to gather and know in Luxor, kom ombo, edfu, karnak, abu simbel. Hence Mahmoud was the perfect guide for this period. He was very well informed and explained to us all the possible details of the places we visited. He was so connected to us that he called my dad Pappa and my mom mamma like the way i call them. He always helped my parents with holding their hands when ever they had difficulties in walking and needed help. He was just amazing. When we parted we really felt that we were leaving behind a part of our family back in Egypt. Looking forward to the rest of our trip. Although we decided on the trip at quite late date response from ETP was prompt and to the point. Everything was arranged quickly and efficiently. Trip included air travel in Egypt and 3 days on the cruise ship. From arrival to Cairo until the last day everything run smoothly and without problem. Whole tour was very informative and covered Egypt from Mediterranean Sea to Abu Simbel. tours of all the locations we visited. They were very professional and also flexible to accommodate some of our “out of the tour” requests as well as suggesting some of they own. My family and I had an amazing experience with Egypt Tour Portal. Everything went to plan. Guides were incredible, and the experience was second to none. Wife and I with 19 y.o. dtr and friend toured with Mohamed Elshamei in Cairo and Omar Khalifa in Luxor, Aswan, and Abu Simbel. Both guides were wonderful; knowledgeable and customized tour to our liking. Would recommend them to anyone. Only less than positive was Tia Heights resort in Hurghada. The Russian guests were incredibly rude and had no manners; even grabbing cutlery out of people’s hands and elbowing people out of the way. If you are from Europe or North America, request a resort that doesn’t cater to Russians. We have done an 11 day / 10 night individual tour with 4 days Cairo, 4 days Nile cruise and 1 day tour through Alexandria. It didn’t start well with one of us arriving at Terminal 2 where the guide couldn’t get in and pick up. Several phone calls were required to organize the meeting point. After a request we received a local Sim card for internet access that was worth the trouble as we could use it extensively at the Nile cruise. Guides and drivers were always on time. Steigenberger El Tahir hotel was good with a great location as well and we also enjoyed very much the Crown Jewel boat where we got every day different tasty food and staff was so charming. In Cairo our guide has been Mohamed Hedar and on the Nile cruise Mohamed Hassan (see both on pic). We have learned a lot about Pharaoh, different ancient gods and daily life. In Luxor we did the Luxor temple at night by ourselves and therefore we could choose what to do instead next day and we have decided to go into the Luxor museum which has been worth a visit. We liked this flexibility of Egypt tours portal and this has also been the reason why we have chosen this company. Sometimes additional and chargeable options were given to us by Mohamed Hedar but in the end the original itinerary seemed to match our needs better. What have been the highlights? Balloon tour that we have added and has been worth the EUR 65, Luxor temple at night and Karnak temple in Luxor. You can see from the rating that all went well. However as I like to read in reviews what can get improved, here is what we disliked: No free Wi-Fi on the boat, prices in the recommended shops like at the oil shop in Aswan are too high and also when you walk on your own in Aswan and Luxor you have to take care not to get ripped off by someone taking you into an overpriced shop. If we would do the tour again we would prefer to have one night less on the boat in Aswan but therefore add one night on the boat in Luxor, simply as there is more to see. Although we were amazed by the pure beauty of the Citadel in Alexandria and we enjoyed the best ever meal in Egypt in Fish market restaurant in Alexandria we would exchange this day by an additional one in Cairo. Why? Well, time in the car is 3 hours one way and then we have had to add an extra 2 hours in a traffic jam in blocked motorway. There has been a bit of mist on the motorway (you could only see as far as about 1 km) and police wanted to be on safe side. And when you do the Nile cruise in Cairo, instead of watching several dances of the belly dancer and waiting for the food, it is nicer to watch the city at night from the sundeck. If you didn’t find your breathtaking tour, check our Egypt tour packages or Nile cruises and choose your dream vacation, or customize your trip via section Egypt tailor-made holidays.